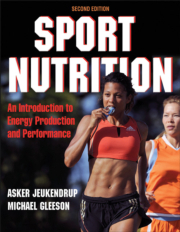 “Carbohydrate … during exercise of about 45 minutes or longer can improve endurance capacity and performance.” That’s what the authors of Sport Nutrition explain in this excerpt reprinted here with permission of the publisher, Human Kinetics. “Convincing evidence from numerous studies indicates that carbohydrate feeding during exercise of about 45 minutes or longer (Jeukendrup 2004, 2008; Jeukendrup et al. 1997) can improve endurance capacity and performance. Studies have also addressed questions of which carbohydrates are most effective, what feeding schedule is the most effective, and what amount of carbohydrate to consume is optimal. Other studies have looked at factors that could possibly influence the oxidation of ingested carbohydrate, such as muscle glycogen levels, diet, and exercise intensity. Mechanisms by which carbohydrate feeding during exercise may improve endurance performance include the following. * Maintaining blood glucose and high levels of carbohydrate oxidation. Coyle et al. (1986) demonstrated that carbohydrate feeding during exercise at 70% of V.O2max prevents the drop in blood glucose that was observed when water (placebo) was ingested. In the placebo trials, the glucose concentration started to drop after 1 hour of exercise and reached extremely low concentrations (2.5 mmol/L) at exhaustion after 3 hours. With carbohydrate feeding, glucose concentrations were maintained above 3 mmol/L, and subjects continued to exercise for 4 hours at the same intensity. Total-carbohydrate oxidation rates followed a similar pattern. A drop in carbohydrate oxidation occurred after about 1.5 hours of exercise with placebo, and high rates of carbohydrate oxidation were maintained with carbohydrate feeding. When subjects ingested only water and exercised to exhaustion, they were able to continue again when glucose was ingested or infused intravenously. These studies showed the importance of plasma glucose as a substrate during exercise. * Glycogen sparing in the liver and possibly muscle. Carbohydrate feedings during exercise “spare” liver glycogen (Jeukendrup et al. 1999), and Tsintzas and Williams (Tsintzas et al. 1998) discussed a potential muscle glycogen sparing effect. Generally, muscle glycogen sparing is not found during cycling (Jeukendrup et al. 1999), but it may be important during running (Tsintzas et al. 1995). * Promoting glycogen synthesis during exercise. After intermittent exercise, muscle glycogen concentrations were higher when carbohydrate was ingested than when water was ingested (Yaspelkis et al. 1993). This finding could indicate reduced muscle glycogen breakdown. But the ingested carbohydrate was possibly used to synthesize muscle glycogen during the low-intensity exercise periods (Keizer et al. 1987a). * Affecting motor skills. Few studies have attempted to study the effect of carbohydrate drinks on motor skills. One such study investigated 13 trained tennis players and observed that when players ingested carbohydrate during a 2-hour training session (Vergauwen et al. 1998), stroke quality improved during the final stages of prolonged play. This effect was most noticeable when the situations required fast running speed, rapid movement, and explosiveness. * Affecting the central nervous system. Carbohydrate may also have central nervous system effects. Although direct evidence for such an effect is lacking, the brain can sense changes in the composition of the mouth and stomach contents. Evidence, for instance, suggests that taste influences mood and may influence perception of effort. An interesting observation provides support for a central nervous system effect. When a hypoglycemic person bites a candy bar, that person’s symptoms almost immediately decrease, and the person feels better again long before the carbohydrate reaches the systemic circulation and the brain. The central nervous system effect may also explain why some studies report positive effects of carbohydrate during exercise on performance lasting approximately 1 hour (Jeukendrup et al. 1997). 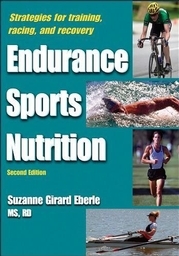 During exercise of such short duration, only a small amount of the carbohydrate becomes available as a substrate. Most of the ingested carbohydrate is still in the stomach or intestine. Studies in which athletes rinsed their mouths with carbohydrate (but did not ingest any) during 1-hour time trials showed performance improvements similar to those that occurred when the athletes ingested the carbohydrate (Carter et al. 2004). Others (Pottier et al. 2008) recently confirmed these findings. Whether the central nervous system effects of glucose feeding are mediated by sensory detection of glucose or perception of sweetness is not known, although studies with placebo solutions with identical taste to glucose solutions suggest that sweetness is not the key factor. Brain imaging studies also show that increased brain activity is specific to carbohydrates. A greater contribution of exogenous (external) fuel sources (carbohydrate) spares endogenous (internal) sources, and the notion that a greater contribution from exogenous sources increases endurance capacity is enticing. The contribution of exogenous substrates can be measured using stable (or radioactive) isotopic tracers. The principle of this technique is simple: The ingested substrate (e.g., glucose) is labeled, and the label can be measured in expired gas after the substrate has been oxidized. The more the ingested substrate has been oxidized, the more of the label (tracer) will be recovered in the expired gas. Knowing the amount of tracer ingested, the amount of tracer in the expired gas, and the total CO2 production enables us to calculate exogenous substrate oxidation rates.